Revelation 1:1-9 NLTse This is a revelation from Jesus Christ, which God gave him to show his servants the events that must soon take place. 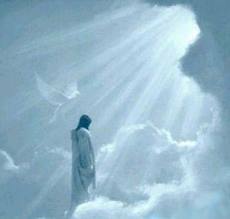 He sent an angel to present this revelation to his servant John, (2) who faithfully reported everything he saw. This is his report of the word of God and the testimony of Jesus Christ. (3) God blesses the one who reads the words of this prophecy to the church, and he blesses all who listen to its message and obey what it says, for the time is near. (4) This letter is from John to the seven churches in the province of Asia. 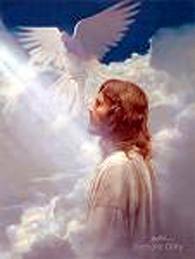 Grace and peace to you from the one who is, who always was, and who is still to come; from the sevenfold Spirit before his throne; (5) and from Jesus Christ. He is the faithful witness to these things, the first to rise from the dead, and the ruler of all the kings of the world. All glory to him who loves us and has freed us from our sins by shedding his blood for us. (6) He has made us a Kingdom of priests for God his Father. All glory and power to him forever and ever! Amen. (7) Look! He comes with the clouds of heaven. And everyone will see him– even those who pierced him. And all the nations of the world will mourn for him. Yes! Amen! 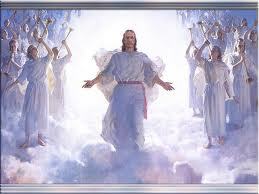 (8) “I am the Alpha and the Omega–the beginning and the end,” says the Lord God. “I am the one who is, who always was, and who is still to come–the Almighty One.” (9) I, John, am your brother and your partner in suffering and in God’s Kingdom and in the patient endurance to which Jesus calls us. I was exiled to the island of Patmos for preaching the word of God and for my testimony about Jesus. Well here we are, 224 chapters into this series of books, and I haven’t covered one third of what was written about the temple. I thought it was a good idea to skip over other portions of the temple to jump into the Heavenly Sanctuary. I was surprised to find so little written about the Heavenly Sanctuary. Most of the Old Testament looked at the Sanctuary as a place of safety, a place to meet God, a place they were able to enter in their time, and a place we should be able to gather for true worship. The Sanctuary is a place we need to go to get information, the next message, warnings about false messages, false Christs, and what this world is doing to drive a wedge between us and God’s throne. The book of Hebrews tells us how Jesus already fought and won the battle. Now its just a matter of clinging onto the new promises, and walking through that vail that used to separate symbols from reality. The disciples didn’t understand prophecy as it was unfolding in front of their eyes. They had to wait until a good portion of it was fulfilled before Jesus could sit them down and explain exactly what happened. What are we supposed to learn from that experience? Today we live in what is referred to as an advanced society. We have larger, fancier homes with electricity, lights, computers, we drive faster cars, we can fly around the world, we have computers, smart phones, all sorts of ways to communicate, find, copy and paste information, make videos, and all kinds of other stuff to make us smarter then those disciples who relied on fish and sheep to eat, make a living, and had to walk from one place to another to get anything done. The question I have, what does all the garbage today have to do with understanding prophecy? To some people, technology is the key to understanding prophecy, like God gave us the news media to replace the Holy Spirit, and a vague understanding of a few choice bits of scripture to replace long hours reviewing what has been recorded over generations. For some reason Jesus quoted scripture. Some times He quoted scripture a lot. At times, Jesus sent priests, Pharisees, and others back to the prophecy He was fulfilling in front of their eyes. Did they look at those prophecies? Some of them did. Not relying on your memory was such a strange thing back in those days, it made people look like idiots, as if they didn’t put in enough time to memorize the important points, or didn’t understand every detail when they read it the first six times. Going back to scripture and reading it in the light Jesus provided that day was looked upon as a sign of weakness. Reviewing scripture was looked at as such a curse. Those who did review it were afraid to discuss what they learned with the other priests and Pharisees. They stood silent as more prophecies were fulfilled, not knowing what to do, or how to react. The world today is not much different. People claim to posses some superior knowledge of scripture. A whole bunch of people want to be just like the Pharisees. They want to be rock stars of prophecy. They want to come up with quick one line answers, standing above the wisdom of the world like a shining star leading the way. The way to what? The biggest house, fanciest car, a larger screen to project some Power Point project used as a teaching tool. What has the world ever gained from quick, one line prophetic guesses? It should have gained the knowledge, people using that formless method of study have all been wrong. They’ve been wrong thousands of times, and if they continue on their chosen course, are going to make thousands of more mistakes. Why does the world still follow them? It will take about a minute to look at the Internet and find dozens of people claiming this prophecy, or that prophecy is being fulfilled today. Most cannot point to a specific prophecy, its just that the news has something about a war some place in this world, and people know there is a prophecy about wars somewhere in the Bible, so the world must be reaching an end. Using the same study methods the priests and Pharisees used to kill Jesus, people think the technology they have at their fingertips is somehow going to make their guesses come true. In all that mayhem, where is God’s Spirit? No one knows. No one cares. Our technology will provide answers we need, when we need them. Somehow the tax dollars we pay and wisdom of our elected officials will save the day. That’s another one of those prophecies floating around the Internet today. People claim leaders of all kinds of different levels are in the Bible in some symbolic form, and this leader, or that leader has a master plan to take over the world. Their plans are so secret, but somehow, mister average Joe working in his underwear on his laptop was shown details of those top secret plans. He can’t explain any details from those plans, how he obtained the information, but part of the world believes him. He posts something on an Internet site, works with a broker to place ads on the side, and somehow makes $10,000 a week from Internet advertising. That is what prophecy has turned into today, a money making machine. Think about is, sheep used to be dollars on the hoof. Today sheep are behind laptops and smart phones looking for easier ways to understand prophecy, and the wolves are waiting for the sheep to come to them. Ask those people what study method they used to put their study together. You won’t get an answer. They look at a symbol in scripture, then just know that symbol points to this person, or that person. They got those symbols wrong a hundred times in the past, but that doesn’t slow down the next guess, nor the income their next guess will produce. If you can’t see the parallel between those Internet vultures and the priests who killed Jesus, allow me to spell it out for you. MONEY. I’ve been lucky enough to meet a guy with a few PhD’s in Bible Study. He was smart enough to show me a few ways to study scripture. Only a few. He was smart enough to know, if I studied with the Spirit, the Spirit would show me other ways to study scripture, other methods, other patterns used in the Bible from the front cover to the back cover. And that’s exactly what happened. Spend some time in the Bible with the Spirit, and He will show you details no one can argue with. The Spirit will show you how the Bible is designed to protect you from all those false teachers. The Bible is designed to show you how to tell false prophets from real prophets. There is one thing about the Bible that makes it the Bible. When God has a prophecy recorded, He also has the fulfillment recorded. When I ran across that study method, I found out what parallel chapters are. It was all so simple, I wondered why no one ever showed it to me before. Parallel chapters are rather easy to figure out when you know a few basic rules of context. The rule of repetition tells us to pay attention to words the author repeated. We call them key words, that can be the same, similar, and related. Contrasting words can also be related. The other important rule to know is the rule of introductions and summations. The first few verses of every chapter in the Bible tell us the main theme in that chapter. The last few verse summarize the main theme. Common sense tells us, the prophecy and its recorded fulfillment have to cover the same subject, therefore, they must contain the same key words, which can be the same, similar, or related. In some instances, but not many, they can be contrasts. Key words help us search for the prophecy and its recorded fulfillment. We may come up with a variety of choices. How do you find the right one? That’s where introductions and summations come in. When the prophecy and its fulfillment cover the same subject, the introductions and summations in the two chapters will agree, making them parallel chapters. It is that simple. When people interpret prophecies using news media, their own knowledge, something they heard or read on the Internet, in a seminar, or using history books, anything outside of the Bible, it is impossible for them to establish the link between the prophecy and the fulfillment God recorded. They can guess a thousand times and never come up with the right answer because they are not studying with the Spirit. They cannot, or do not want to explain the process they used to formulate their opinion, and know, few people will ask them to explain the methods they used. When we look at the introduction to the Book of Revelation, we see how John immediately identified the source of his information. John received his information directly from Jesus Christ. John eliminated all doubt by following the laws of the prophets, which is, explain how you received the message. John also followed another law of the prophets by explaining why the message was given, “to show his servants the events that must soon take place.” John then identified an angel as the form of communication God chose to use to deliver this message. Daniel’s book is a guide telling us the major forms of communication God uses. Among them are, dreams, visions, angels, prayer, daily events, and of course, scripture. John also identified who the message is for, and important detail when we begin a study. When we study the physical aspects, we are better able to see the spiritual implications, then understand how they apply to us, which is another study process we can follow. John tells us, we’re supposed to be a kingdom of priests, a reminder the Levitical priesthood is dead, and Jesus is now the head of a new priesthood. We can’t go mixing old ways with new ways. We can’t take the old Levitical priesthood, take out a few interesting points, and fabricate a new religion out of it. Our instructions, orders, messages, and training all come from Christ. If John knew of another plan, he would have recorded it in Revelation, or in another one of his books. John also did something unusual, John gave us a description of Jesus, then later broke it down into sections, adding one part of that description to letters written to the seven churches. In essence, John was told to record one Bible Study method. Take all the information on a subject, put it all together, and study it as a whole. When one piece is missing, you’ll find it difficult to understand. When it all comes together, the understanding will flow. We can take the descriptions of Jesus placed in the seven messages to the churches, put them together and see a much better view of Jesus than any single one can provide. A casual reading of Revelation may miss many details like that. If people know a few basic study techniques, those details should stand out, or at least ring a bell. We should ask why God used a writing style like that. The obvious answer is, so we can show people, basic study techniques are actually in scripture, and we don’t need other sources to teach. God included everything we need in the Bible. God must have seen the study techniques people made up and like to use. Take out one line, and make up a story about it. Isn’t that what most of the world does? So Jesus had John record a number of details about Himself in one place, then broke them up into sections at the beginning of the book so we knew how the rest of the book was written, and how to understand it. None of the prophecies in Revelation contain a complete description of what is going to happen. Some details for an event are scattered here and there. The more details we gather, the better picture we get. The more we are able to explain to people. Some people follow that general rule of Bible Study, but way too many people want to show off like those priests and Pharisees. Show them one piece of a puzzle, and they want to show off by explaining every detail. Challenge their wisdom and watch out. The only other parts of the Bible they have memorized is a few choice lines about false prophets they shoot out at anyone who doesn’t agree with them. I for one feel much more secure when someone can show me a study method used in the Bible. There are dozens of them found in the Bible. Jesus taught using a series of parables. The parables He used in one day were all related. Some times Jesus used simple symbols like grass, seeds, or crops to show all those parables were linked together. Each parable had a few pieces of information. When we put them all together, we get a much better understanding of the lesson Jesus taught that day. Separate them, and we are generally left with the impression one person received from one parable. It may sound good. It may make sense, and have something to do with the other stories a teacher decided to mix in, but more often than not, teach a lesson about this world when Jesus was teaching a spiritual lesson about Heaven, life in Heaven, His ministry, or another subject not really related to what a modern day teacher wants to imply. Jesus used that method of teaching, using parables with related symbols to teach another lesson about Bible Study. Stories in the Bible are related to one another. You cannot understand the physical aspects of one story without reviewing the previous story, which lead into whatever story you are studying. Back ground is very important. It is also important to know what actions and decisions led to the situation at hand. That may sound like common sense, but how many people follow that general rule of Bible Study? In the Bible, that general rule of looking back also applies to all the books in the Bible. Look at Revelation chapter 1 for example. 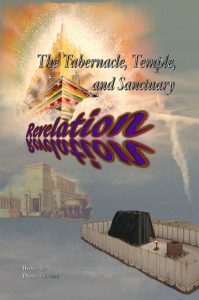 See how the end of the previous book sets your mind in order to begin a proper study on Revelation. But you, dear friends, must build each other up in your most holy faith, pray in the power of the Holy Spirit, and await the mercy of our Lord Jesus Christ, who will bring you eternal life. In this way, you will keep yourselves safe in God’s love. And you must show mercy to those whose faith is wavering. Rescue others by snatching them from the flames of judgment. Show mercy to still others, but do so with great caution, hating the sins that contaminate their lives. Now all glory to God, who is able to keep you from falling away and will bring you with great joy into his glorious presence without a single fault. All glory to him who alone is God, our Savior through Jesus Christ our Lord. All glory, majesty, power, and authority are his before all time, and in the present, and beyond all time! Amen. (Jude 1:20-25 NLTse). Jude is like a brief description of Revelation. The end of Jude tells us, this is about more than ourselves. This is a matter of life and death. Jude also reminds us of the Holy Spirit’s part in this warfare here on earth. Jude also sets our mind on the concern Jesus has for this planet, thereby explaining why Jesus sent an angel to John with enough information to fill a book. The first chapter of Revelation also introduced the concept of prophetic timing, a subject few people want to try to explain. Not because they don’t understand it, but because proper prophetic timing will not allow people to do what they do best, take prophecies out of sequence. Whenever people are allowed to take prophecies out of sequence, they can apply a line here, and another line there, whenever the need arises. Let’s get serious. There are a handful of people making a very good living out of taking one or two lines out of scripture, playing a few seconds of a news event, and telling people it is prophecy being fulfilled. We want to learn to avoid people like that and not get caught up in the confusion they create. That is the main reason God decided to include solid Bible Study methods in books like Revelation. Timing is another one of those rules.